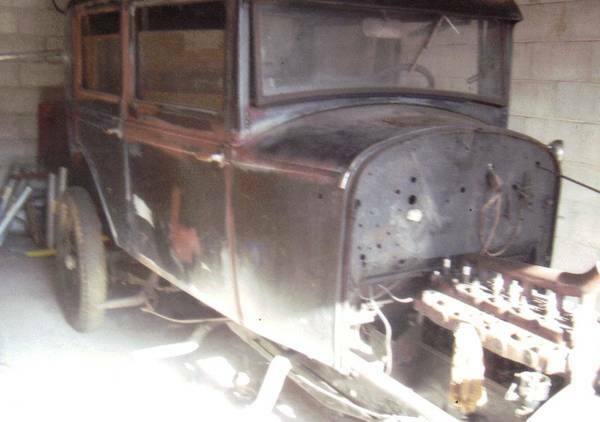 1929 Essex Super Six Standard Sedan. All four suicide doors. Mostly complete car from Bumper to Bumper. This car has owned since the mid-1970's (have title) and it has been stored inside a dry garage since the day he bought it. This is not a rust-bucket. 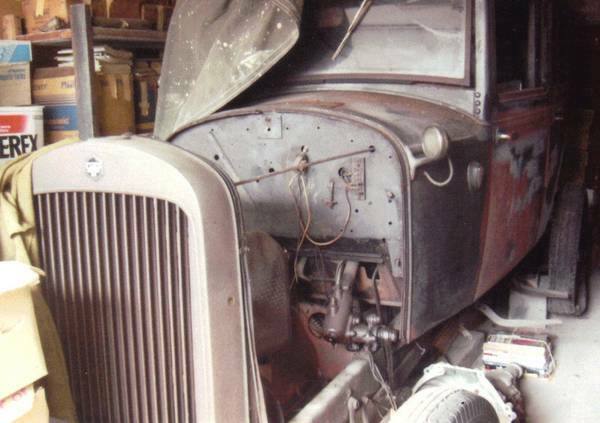 This is a complete car that has been disassembled and parts have been placed in boxes. He has a lot of spare parts too. Not shown in the pictures are the bumpers, fenders, aprons, running boards, hood, headlamps or grill. They are all there. Also the car has an original radio and the front seat is mohair, but should be reupholstered as well as the fabric top. I am not sure where the rear seat is. Most of the glass is there, but should be replaced since there are some cracks and this is not safety glass. The original Hudson made six is complete, but disassembled and mostly in boxes too. The motor was filled with oil/fuel-oil so it won't rust inside. 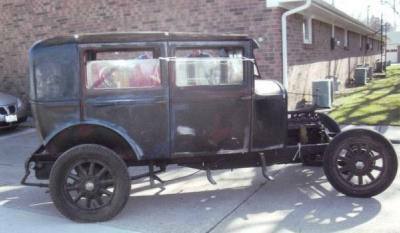 This would make a nice restoration since it is about 95% complete, or you could build a street rod or rat rod out of it.